There is only one way to play football — 110% effort every play, all the way to the end of the fourth quarter. You lay it all down on that field. Then you crawl off the field after the final gun with nothing left to give. 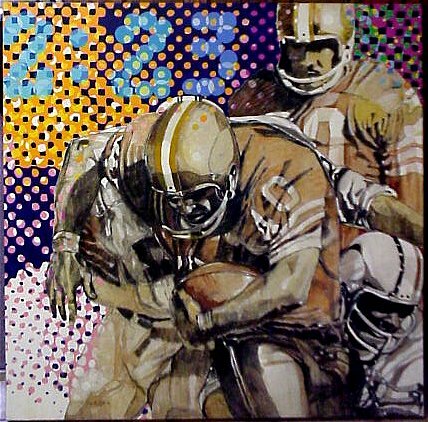 Football must be played with wholehearted abandon. It’s the nature of the game. It prepares us for life. If I could change the Bible, all I would do is add “play high school football” to the qualifications for elders. Men who have experienced such intense effort, hurling themselves into every play, especially as a team sport — such men understand what ministry demands and how good it feels to give their all for a cause greater than self. Of course, there are other ways God provides for men to punch through to the experience of total abandon. Football is not the only way. But every man needs some kind of experience like this, to become the warrior God wants him to be. There is only one way to serve Christ — all-out passion. Passive men don’t understand, men who are afraid they might get knocked down or hurt. Christianity must be lived with wholehearted abandon. It’s the nature of the faith. It prepares us for eternity. Men with a whole heart — joy awaits them! 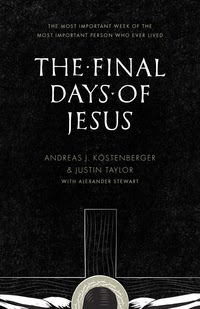 I had the privilege to read and offer this short review of Crossway’s The Final Days of Jesus earlier this month. This is a fascinating work and one, quite honestly, that you’ll want to have in your library. It’s written by Andreas Kostenberger and Justin Taylor (here’s a link to Justin’s blog on this book, which gives you a feel for its visual layout). The table of contents is simple: Sunday, Monday, Tuesday, Wednesday, Thursday, Friday, Saturday, Sunday. One week. This book is about one week, but it’s not just any normal week. It’s the one week in which the lives of so many people have been changed. It’s the final week of Jesus Christ. This book takes this final week, imports all the Biblical texts describing this week, harmonizes them, and gives the reader commentary on what’s happening and why it’s so important. I read this book when lent began a few weeks ago and remember thinking that it would be an amazing book to work through on the Palm Sunday through Easter week. Even if that doesn’t work, though, this book would prove profitable in helping readers know what happened in this final week of Jesus Christ. I know this statement will get my nerd card stamped for another year, but this book is cool for its graphics and charts. I grew up reading the encyclopedia and love those little stat corners of the USA Today. There are parts of this book where huge amounts of data are cohesively presented as a picture or chart. Having these are almost worth the price of the book. So, I’m happy to recommend this book to you. Read it and allow what the Bible says about the greatest person who ever lived come into clear focus. Your life won’t be the same by looking at the Final Days of Jesus. You listen to talks by Louie Giglio, Francis Chan, Andy Stanley, Beth Moore and others. Enjoy. Are you luxuriating in Jesus Christ?